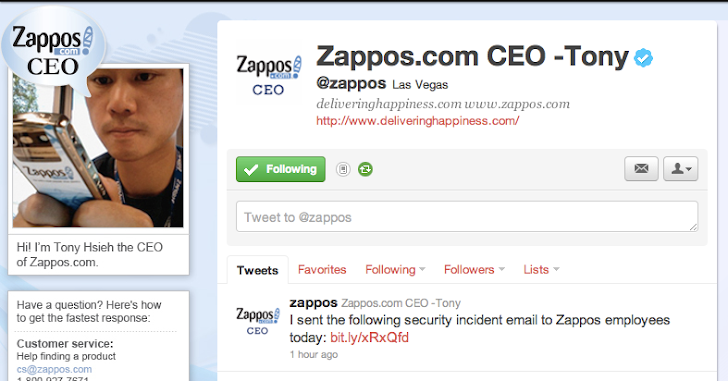 A notification mail from Zappos is circulating in Customers that a division of Amazon "Zappos.com" got Hacked by Unknown Hackers. 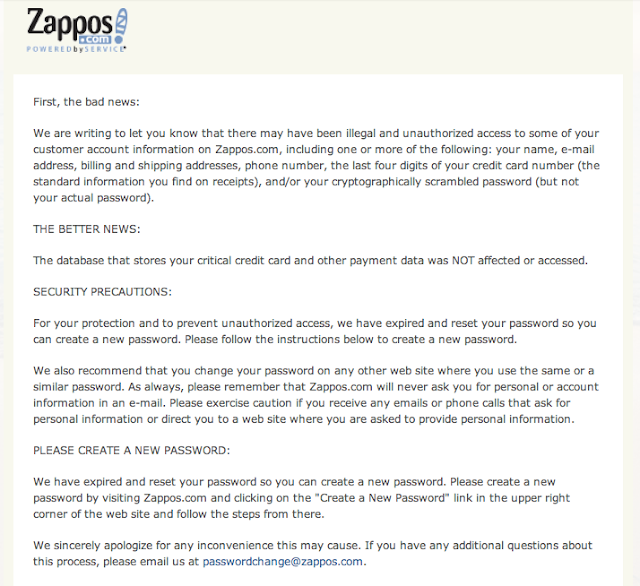 Notification mail indicated that names, email addresses, mailing addresses, and the last four digits of customer's social security numbers have been compromised. Also the databases that contain sensitive billing information, such as credit card numbers, was not accessed by hackers. Zappos are currently working with law enforcement for an investigation.